Many people with astigmatism still think that they cannot wear contact lenses. However, there are many different types of contact lenses available for people with astigmatism these days, so there is no reason that you cannot find a comfortable pair. Here at Eye Site, we offer fittings for hard-to-fit contact lenses, including torics and other lenses for astigmatism. Basically, astigmatism simply means that the front of your eye is not perfectly round. An eye without astigmatism has a curve like a baseball or tennis ball, which is perfectly smooth. An eye with astigmatism has some parts of the eye that do not have the same curvature as the rest. Because of this distortion of the eye's curvature, light that enters the eye focuses in different places on the retina, rather than in a single place. This tends to result in blurred vision at all distances. People with astigmatism may also have myopia or hyperopia. Astigmatism is a refractive error, which means that it affects how light is focused within the eye. It is not an eye disease, although it can be caused by certain eye diseases or injuries. Many people are born with astigmatism. Many contacts for astigmatism are called toric lenses. A toric lens has a design feature that prevents the lens from rotating in the eye. This keeps the variable prescription necessary for correcting astigmatism located over the right parts of the eye. GP lenses can also be toric lenses, but these are not used very often. More often, GP or hybrid lenses are used without special astigmatism corrections because the hard lens retains its shape and does not conform to the shape of the eye underneath it. This means that the contact lens retains a perfect curve for light to be focused through, even though the eye under it does not. Hybrid lenses have a GP center and a soft outer 'skirt'. They provide the comfort of a soft lens combined with the sharper vision of a GP lens. The doctors at Eye Site in Katy, and Memorial, TX, can help you find the proper contact lenses to compensate for your astigmatism. 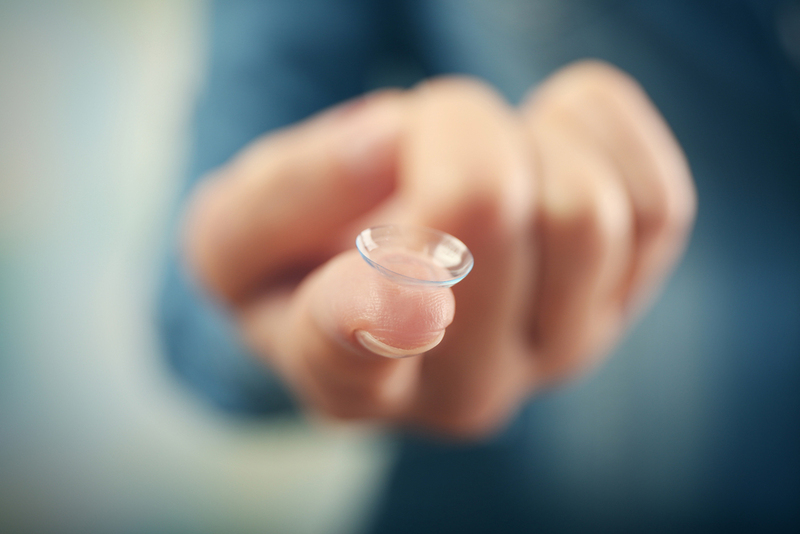 A contact lens fitting is required, during which we will examine your eyes and discuss your options. Call us today to schedule an appointment at our Katy location (281-644-2010) or our Memorial location (713-984-9144).